A female Coelioxys “forages” for pollen on which to lay her egg. These bees have no family loyalty. They parasitize nests made by their cousins, the Megachile, and probably don’t even feel bad about it. They’ve been doing this for so long they’ve lost all pollen-carrying adaptations–adults only need to feed themselves and never provision nests. 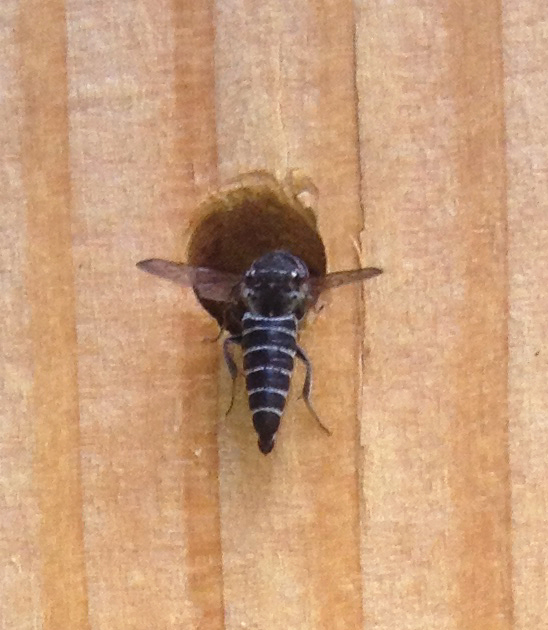 Instead, female Coelioxys bees lurk outside Megachile nests and wait for the mother to leave. Once the coast is clear, they pounce on a fully provisioned cell, using their pointy abdomens to pierce the leaf lining and lay their own eggs inside. The really clever part is how they hide the treachery. Eggs are laid either within leaf layers or under the pollen provision so that the rightful nest owner won’t suspect a thing. The young cuckoo larva has gigantic mandibles that point forward rather than downward. This has one purpose: to kill the host larva. Now the Coelioxys larva has all of its host’s pollen provisions to feed off of. After it’s grown, it must time its exit from the nest with that of it’s host “siblings” to avoid detection or destruction. If it makes good on this short window, it can repeat the cycle. 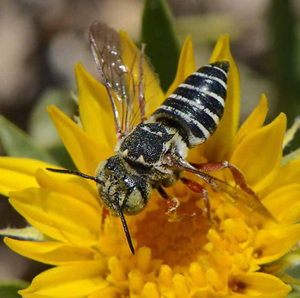 Next time you’re block-watching, look to the surrounding area for cuckoo bees waiting to strike. They’re usually active from June to September. DID YOU KNOW: There are 18 species of Coelioxys in Colorado. 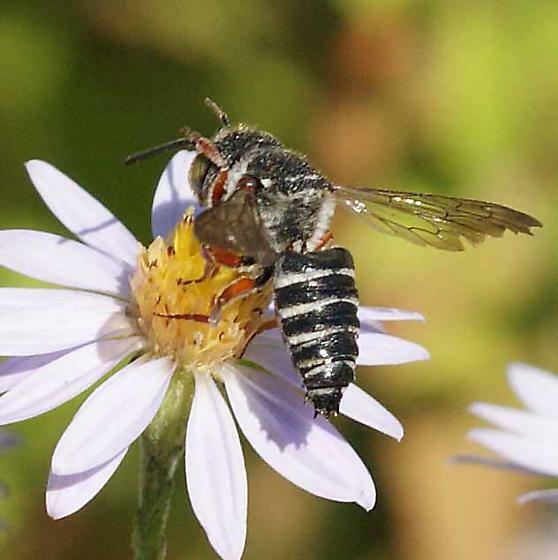 While they mostly parasitize Megachile, there are very specific host-parasite relationships – so each Coelioxys species can only parasitize certain Megachile species. This entry was posted in 2014, Bee Blocks, Insect of the Week, Uncategorized. Bookmark the permalink.